This time around I’m not actually reading the book. We listen to the audio book on CD while snuggling in Mom & Dad’s big bed before the kids to go their own beds. 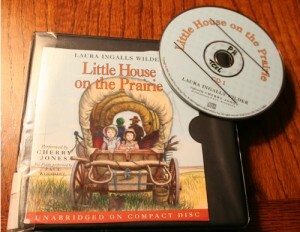 Last night we started The Little House on the Prairie by Laura Ingalls Wilder. My son sort of remembers this from a few years ago, but it’s all new to my five-year-old. Laura Ingalls Wilder’s books are possibly my favorite chapter books for children. The first is Little House in the Big Woods, and the second is Little House on the Prairie. Either one of those books would be good choices for an introduction to Wilder. These books have lots of adventure–panthers, bears, wolves, trips in a covered wagon, Indian visitors–told through the eyes of a little girl and steeped in America’s history. 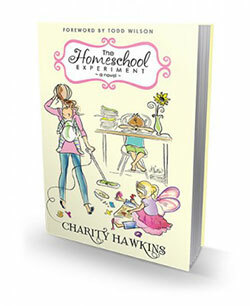 Don’t be afraid to skip over some of the “boring” parts — the long descriptive passages – and get back to the story. (Those parts are interesting for historical purposes, but probably not to a five-year-old.) Also, you may need to edit some parts of Ma’s reaction to the Indians. You could just cut some out or, if your children are old enough, talk about her attitude and why she was afraid and how the Indians might have been just as afraid of the white people. The other reason I think these are great books for children is they teach courage, gratefulness, and respect in a way that many modern books do not. Family Song: O, Come All Ye Faithful. Also, not a chapter book, but a fun book on CD we did one night was an Arnold Lobel collection. You know, Frog and Toad, Owl at Home? The man is brilliant. He can communicate humor to kids, a lesson to grown-ups, and great truths in the simplest language and in about 300 words.